After my completion of 12th board....i started giving off exams for undergraduate courses...though i scored 82% in the CBSE board exmaination i was unaware of my destiny....this happens to all who sit for the very first time in those exams which are known for there Negative marking....IIT-JEE and AIEEE. as my subject was maths science i only gave exams for engineering courses....In my opinion "if your exams go outstanding then you have the right to chose your own branch,,but if not then satisfy with your college" as once my Coaching instructor Mrs. Thakur(Chemistry) qouted us..." BEGGARS CAN NOT BE CHOOSERS".....at that time when my result of AIEEE came i was not so happy not so sad all because of a poor rank....my dreams of CSE, IT, ECE and MECH all went in vain......but yes "DON'T LOOSE HOPE IS THE MORAL OF THE STORY"....after my counselling in Maulana Azad National Institute of Technology (MANIT) bhopal i got a seat in National Institute of Technology Raipur (without branch)....i compromised with the college and soon took my admission...Because it was a Govt. College of Engg. 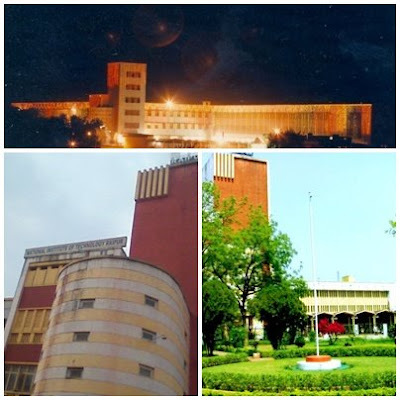 established in 1956 (one of the oldest engg. colleges in india) i showed my interest rather than joining any other college in Jabalpur or Madhya Pradesh. I got Metallurgy over there...at first time i was less confident over my branch but when i slowly came to know about it i started loving it...all my friends and relatives were questioning me about the selection of such different and unconventional branch but i was sure that i have taken a very good decision. i am proud that i nave taken admission in an institute of National importance as only 20 such institutes are there all over india. with a history more than 50 years....placements the highest in Chhattisgarh more than 90%....783 students took admission from AIEEE last year....12 undergraduate and 6 postgraduate courses....some of the very best faculties from all over India.